British Prime Minister Theresa May accused the opposition Labour Party of betraying the British people by trying to stop Brexit as she went on the offensive yesterday in her battle to win approval of the widely criticised divorce agreement she negotiated with the European Union. With less than two weeks to go before a vote in the House of Commons, Mrs May is trying to win support from lawmakers of all parties who have balked at the deal. She declined to entertain questions about what alternative she might offer if the current agreement is rejected on December 11. "I've got a plan, I've got a proposal, I've got the deal that I've negotiated," she said ahead of the G-20 summit in Argentina. "We don't see any alternative coming forward from the Labour Party. Instead, what I see from Labour is an attempt to frustrate what the government is doing to deliver Brexit for the British people. That is actually a betrayal of the British people." The agreement ratified by EU leaders last weekend came more than two years after a UK referendum in which 52pc of those who cast ballots voted to leave the bloc. Some opponents are calling for a second referendum now that the costs of leaving the EU have become clear, but Mrs May says that would violate the trust of the 17.4 million people who voted for Brexit in 2016. 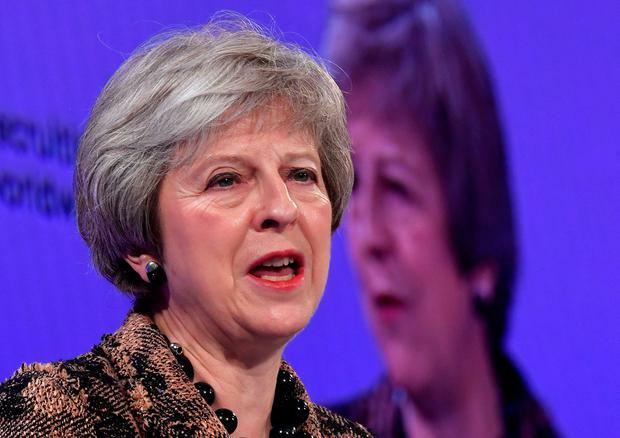 The prime minister has been highlighting the risks of leaving the EU without a deal in a bid to persuade sceptical lawmakers - including many of her fellow Conservatives - to back the agreement.